Is confidence something that you are born with – or can you develop it? The research (as well as my experience) suggests that it’s both. It seems that many personality characteristics and qualities have a genetic basis; however, our upbringing as well as what we choose to do as adults do affect how we continue to develop. Want to be happier AND more successful at work? 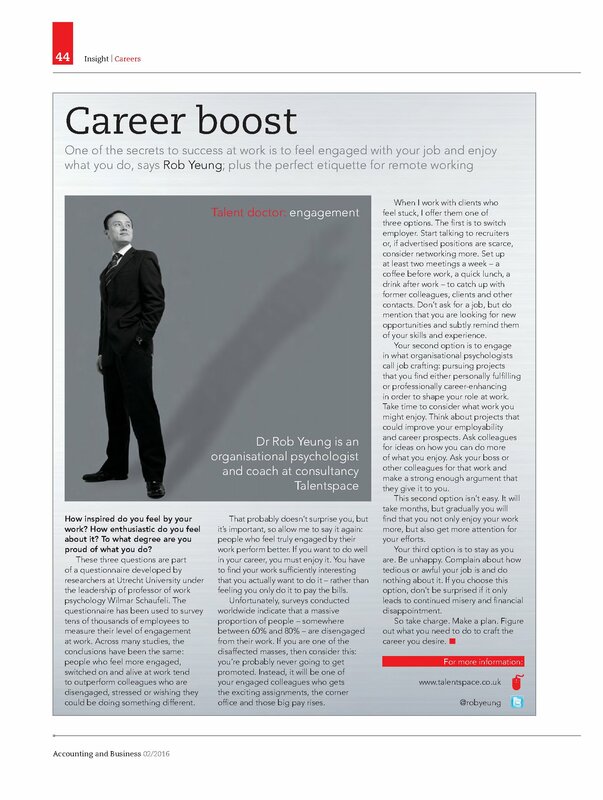 Feeling engaged by your work is a necessary prerequisite for high performance, productivity, success and promotion. Of course, that probably doesn’t sound that surprising.